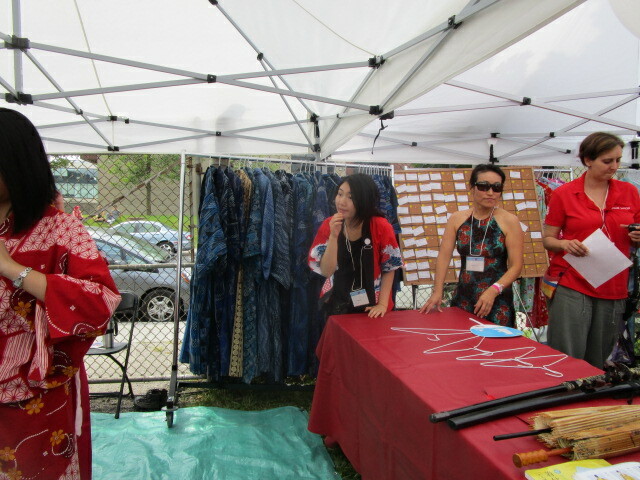 If you didn’t bring a kimono, you could rent one. 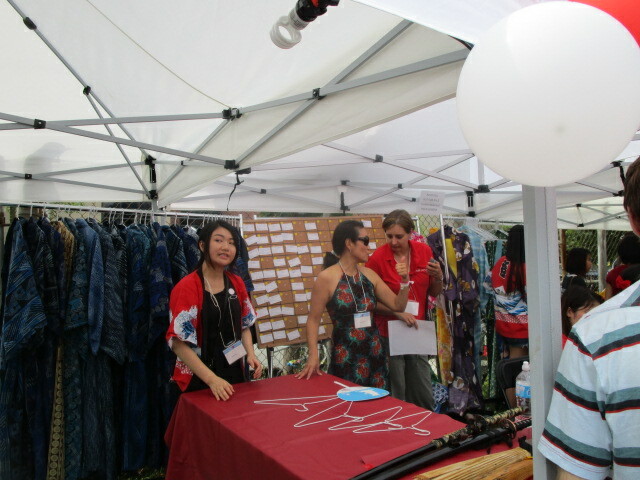 Actually, they’re called yukata and they are a special kind of summer kimono. 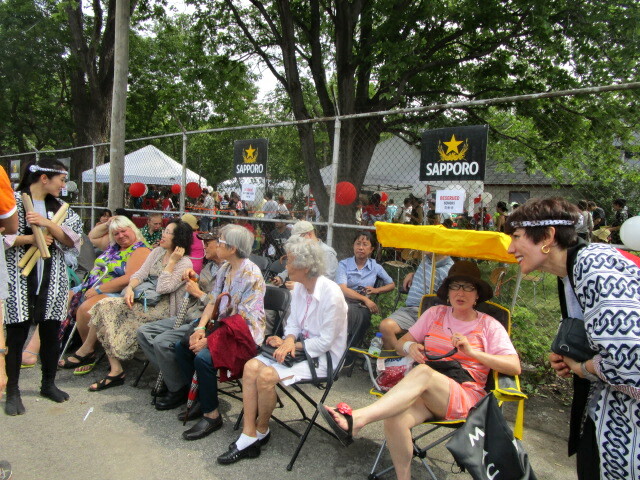 Hoardes of people flocked down Jarry to attend the 14th annual Matsuri Japon Japanese festival held at the Japanese Cultural Centre. 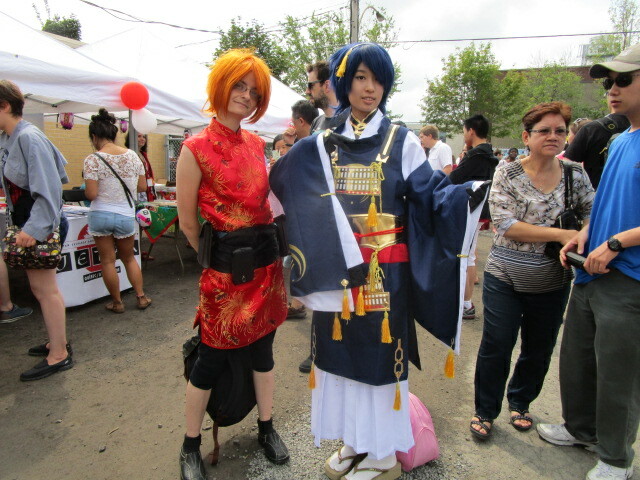 Some were easy to spot in their cosplay and kimonos. 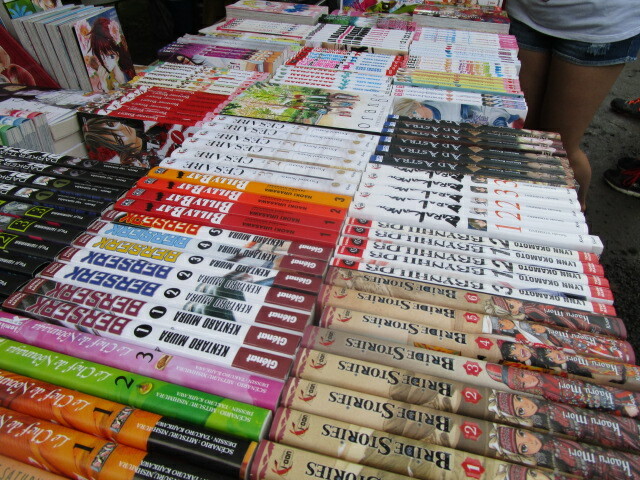 Others less so. 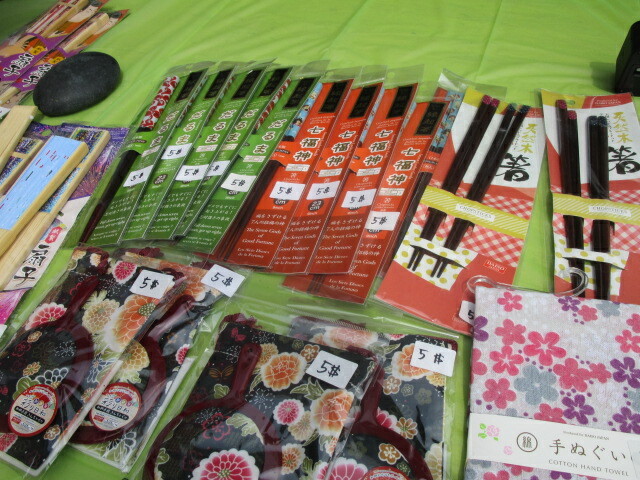 Nonetheless, the parking lots and empty spaces surrounding the centre were packed with Japanophiles. 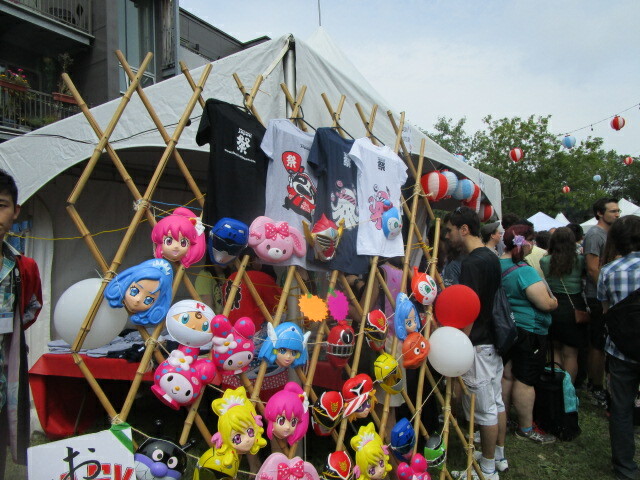 Around the main stage were kiosks selling Japanese products such as key chains, shirts, and a variety of tchotchkes. 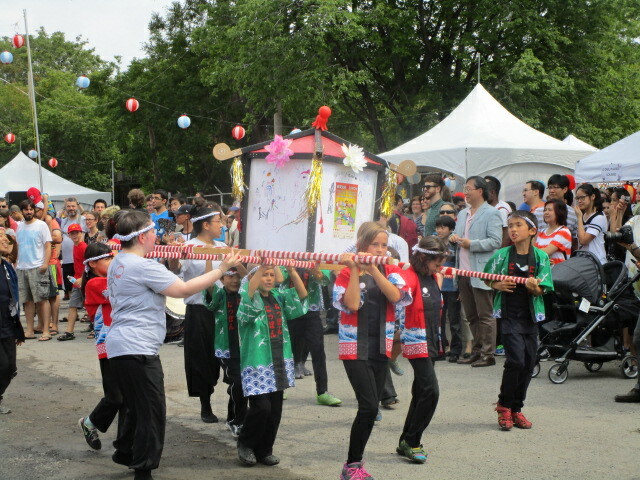 In addition, there was information about studying Japanese, traveling to Japan, and taking different culture classes, such as Japanese flower arranging or calligraphy. 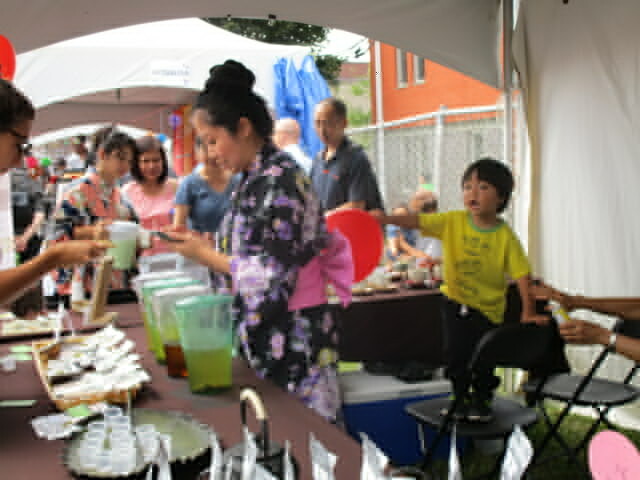 A kids area with face painting, origami, and games was also set up. 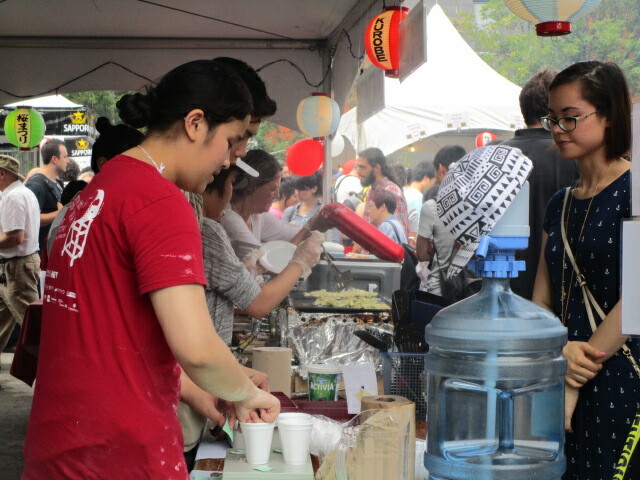 Beyond, the big draw was the food area. 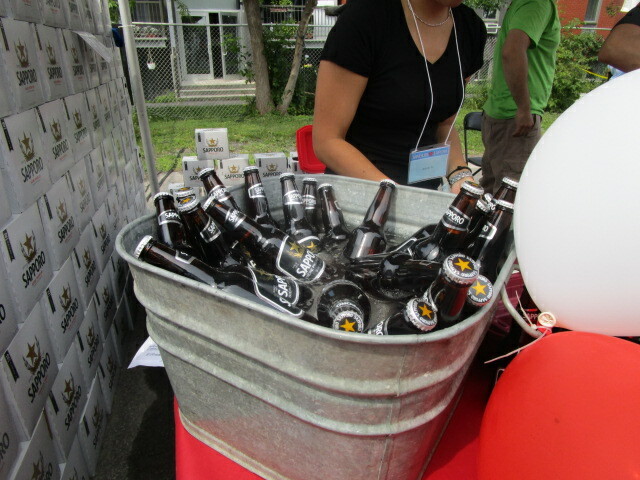 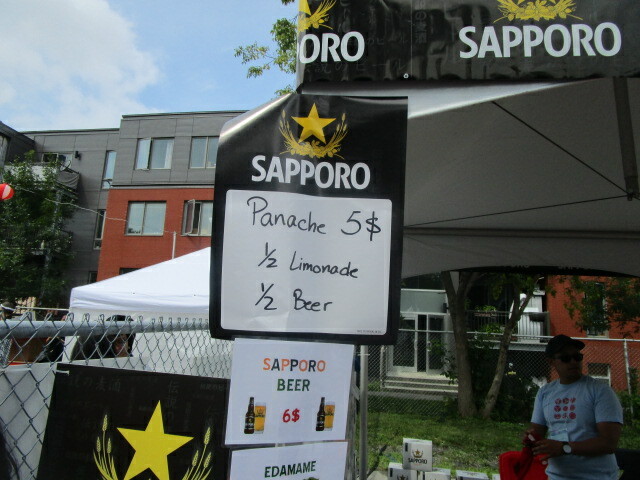 Sapporo or Sapporo mixed with lemonade was on offer. 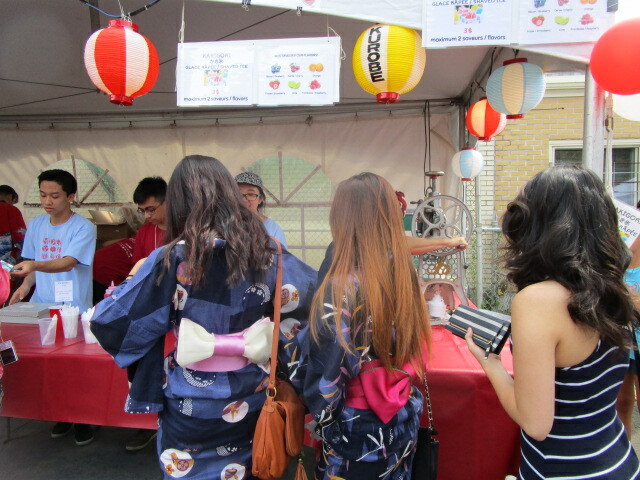 The longest lines, though, were for some kind of pork ball, Saka Ba’s udon noodles, and wasabi hot dogs. 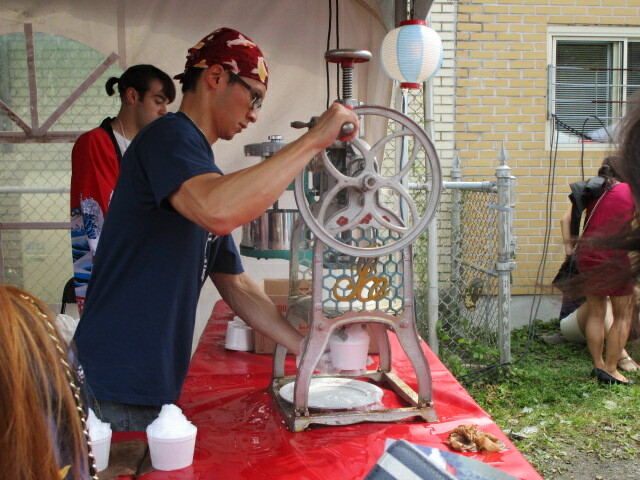 There was even a shaved ice stand. 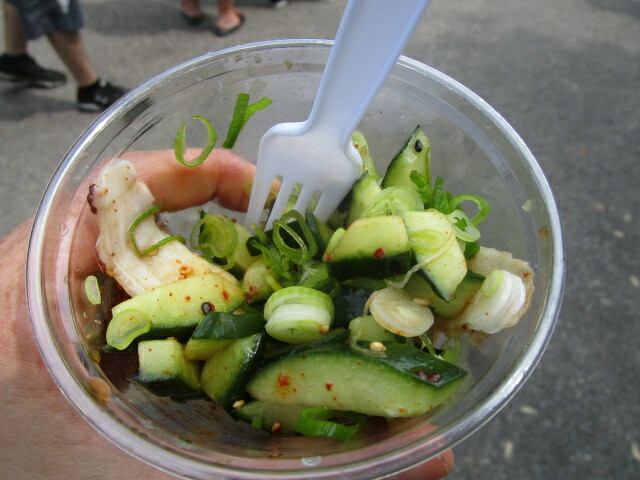 I made off with a very tasty octopus salad. 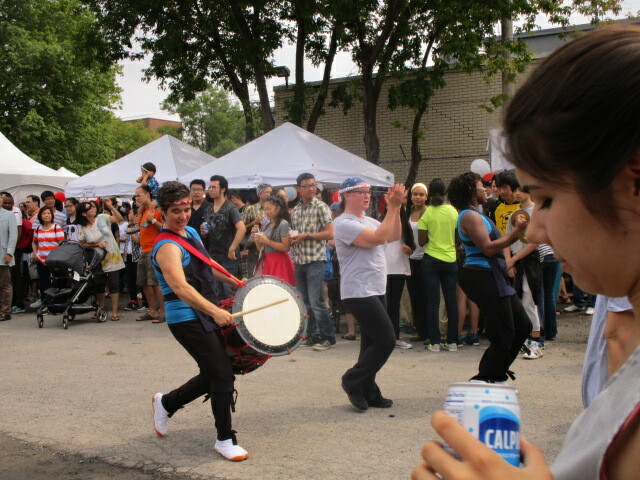 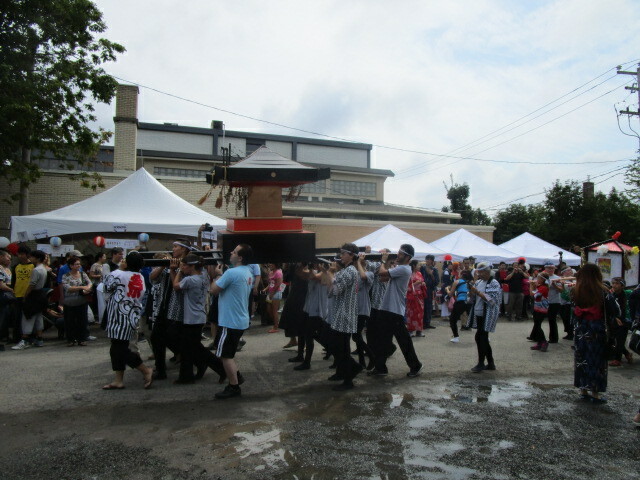 While scarfing down my cup of yum, I watched some of the cultural activities. 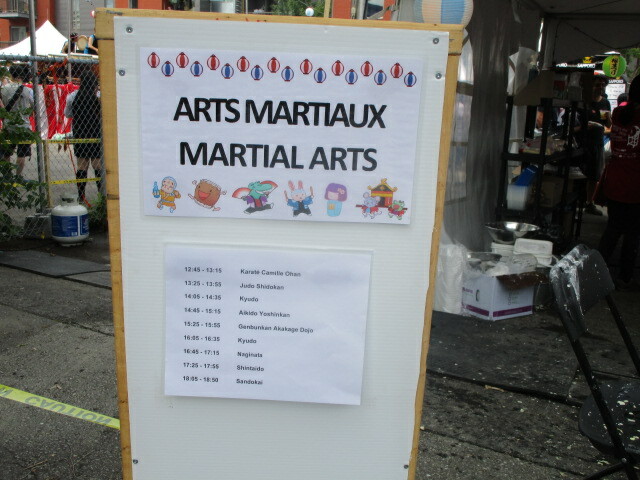 Martial arts displays were impressive, as were teams of taiko drum players. 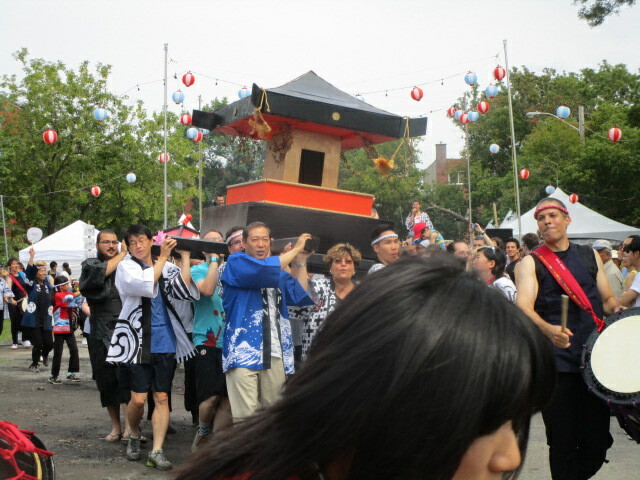 However, the group lifting a shinto shrine, known as a mikosi, that they ran around the space was an equally entertaining spectacle. 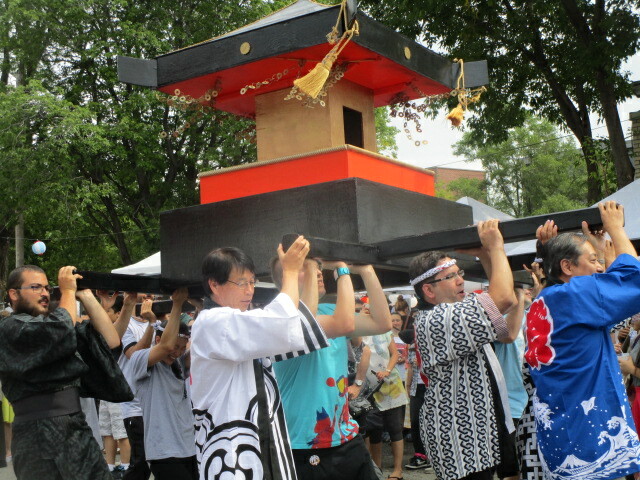 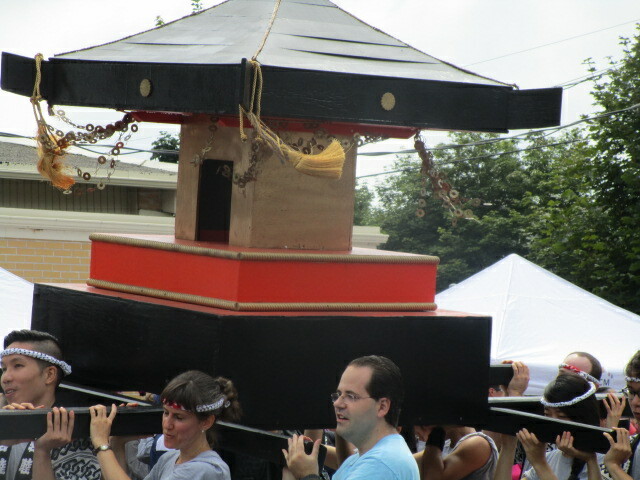 The Matsuri Japon festival took place on August 15, 2015. 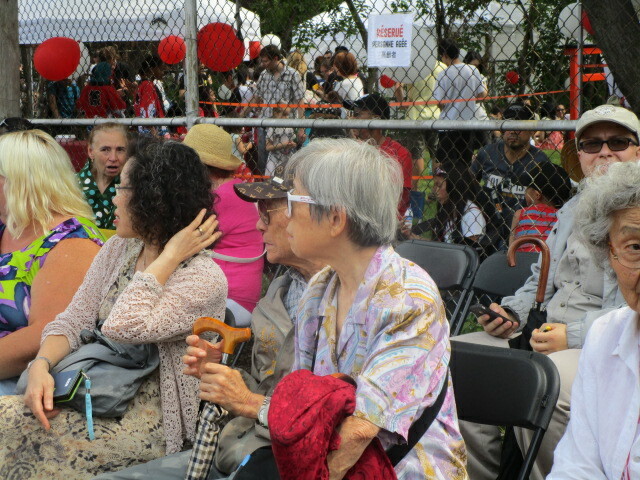 Official thumbs up from Kathy and me, Rach! 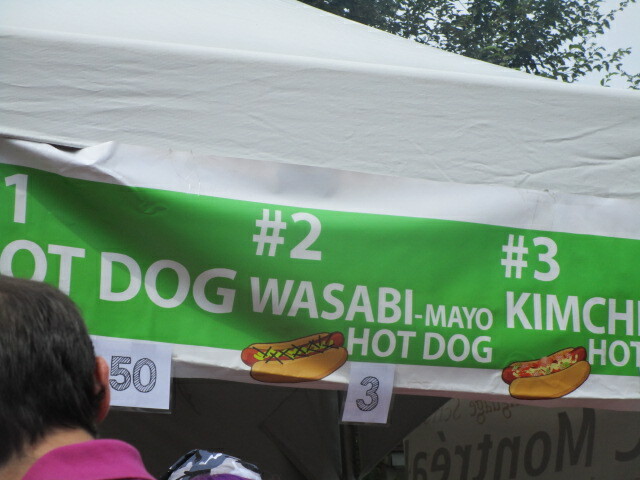 😀 Awesome. 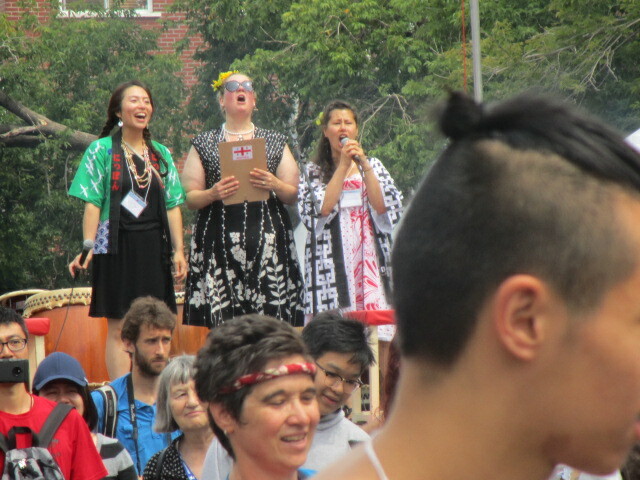 Wish we were there.